Make your happy day memorable one at the Club. 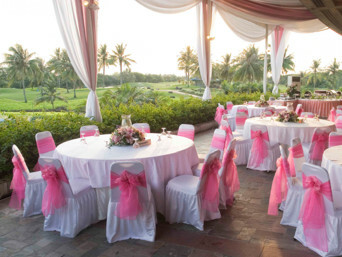 Damai Indah Golf has the facilities for any functions, such as wedding, anniversary, commemoration party and so on. You can choose the scenery! 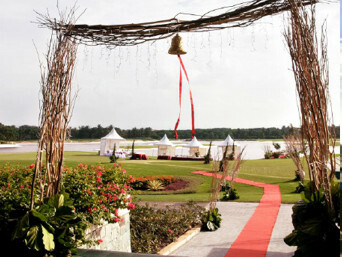 The beauty hill or the lakeside golf view setting where the cool sea breeze blows. 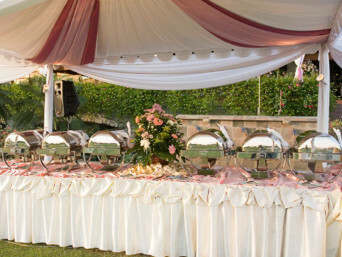 The club has the facilities for banquet of up to 500 peoples, or standing party for up to 1000 peoples. 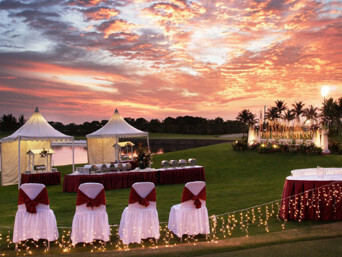 Besides, it also offers unique and traditional buffet setting, complimentary fresh arrangements, luxurious rest room, ample parking lot, and round the clock security. Please contact our staff at for more information and schedule.